Globalization and Cultural Imperialism are two sides of the same coin. Globalization is usually the way the culture spreading looks at it and Cultural Imperialism is how the culture being hegemonized. Globalization is making citizens more aware of other countries, ideas, and ways of life. Cultural Imperialism is the intense and bad version of globalization. In class on Monday, I made the argument that if citizens weren't patrons of the imperialized cultures businesses then they wouldn't be there. After thinking of this picture, I thought that it might be nearly impossible to avoid. Even in our own lives as AMericans, how easy is it to frequent only mom and pop businesses in all aspects? This Cultural Imperialism is overwhelming. It is inescapable. Once the first store or idea is planted, it spreads like a virus. It infects everything until it is hard to pick when the change actually happened. 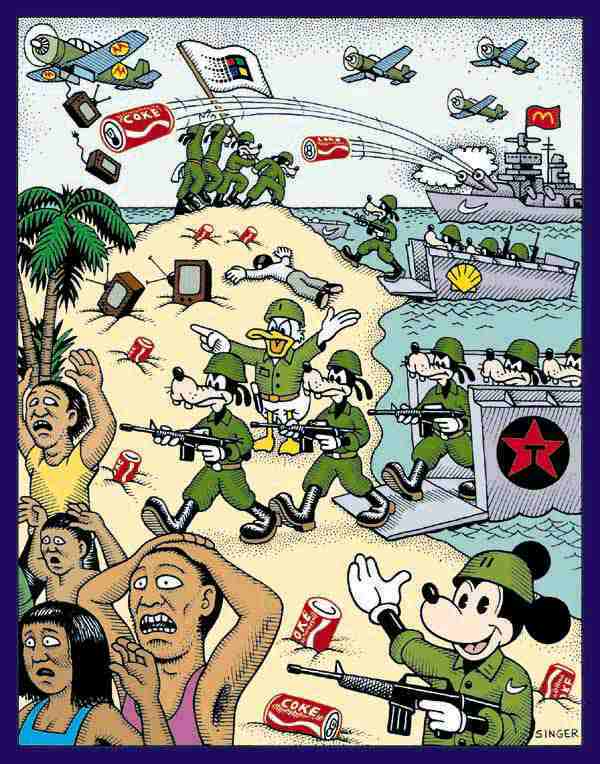 Cultural Imperialism is Globalization, it just depends on which side your on. Henna Tattoos or Ritualistic Adornments? Does it Matter the Race? bright colors and attractive females sell.. I'm an Assistant Professor of Communication Studies at Rollins College. I teach a variety of courses, with topics from public relations to popular culture to digital media. My first book, Popular Culture and the Future of American Politics: Cultural Studies and the Tao of South Park, was published in 2009 from Lexington Books, and I published two edited volumes in 2011: one on humor and irony in post-9/11 politics, and one on transgression in the digital age. My Ph.D. and M.F.A. come from the University of Illinois, Urbana-Champaign. I also have an MFA in Sculpture from the University of Illinois, and two bachelor's degrees (Art and English) from the University of Maryland.